So, have you made your New Year’s resolutions yet? If you have, undo them, throw them away, no matter how noble they are in intent. Do it now, before it’s too late. If you haven’t made them… make sure you don’t even start! Don’t even think about starting! If resolutions worked, there would be no need for Jesus. Everything we want, desire, and need would be just a resolution away. We could simply muscle, will, and effort our way into a better future, one goal at a time. Problem is, more so than not, though resolutions feel inspiring at the start, resolutions ultimately leave us with one thing… the result that we have fallen short. We didn’t lose the weight (or keep it off), keep our mouths shut, reach the goal, play nicer, or be as positive as we promised. Somewhere along the way, our performance breaks down. If we do, by chance, square up with a resolution, we think it’s our strength and will-power that got us there. Our flesh is stroked as we deceivingly believe that the power that moved us forward was from our resolve, or some portion of it. Our identity and self worth become attached to the tubes of our efforts and abilities, our striving and our trying. Behind every resolution is the facade and self-deception that within our performance are the answers to a better future. Spiritually, we have been taught (falsely) that God wants more and more from us; do more, become more, achieve more… all for Him of course. We have bitten the lie that the goal of the Christian life is to become successful for Jesus. So, we make all kinds of spiritual resolutions… pray more, study more, get more Jesus. Hunger for Him more, go to Church more, get on fire more. Do more of this, and less of that… and on, and on, and on. Yet, I believe, God has something much different in mind for our 2016! One resolution. A RESTolution. Rest in His resolution to love you, bless you, favor you, forgive you, and accept you. To empower you and carry out His good work in you. To have you will and act according to His pleasure. To prompt you, protect you, heal you, change you, clear the path for you. To lead you, delight in you, provide for you, give success to you, and give you favor among people. God wants ONE resolution from you. To realize there is no resolution you can have that works but resting in His resolutions towards you. He is the author and perfecter of your faith, not you. He has already saved you, set you apart, sanctified you, made you Holy, pure, and blameless, lacking no spiritual blessing in your life. There are no resolutions needed from you when you awaken to and rest in God’s resolutions towards you. What could you possible achieve that God hasn’t already achieved for you and in you, and promises to achieve through you. God has one resolution for you to have this year… a RESTolution. Rest in Him, for everything, and in every way. Stop resolving to do more, and resolve to believe more. Stop resolving to become more and resolve to be more of who you already are… made complete, eternally and unconditionally loved, Holy, pure, forgiven, accepted, secure, beautiful, qualified, approved, having the mind of Christ, favored, justified, sanctified, successful, without guilt, shame, or condemnation… all done by Jesus’ resolution-work, not yours. 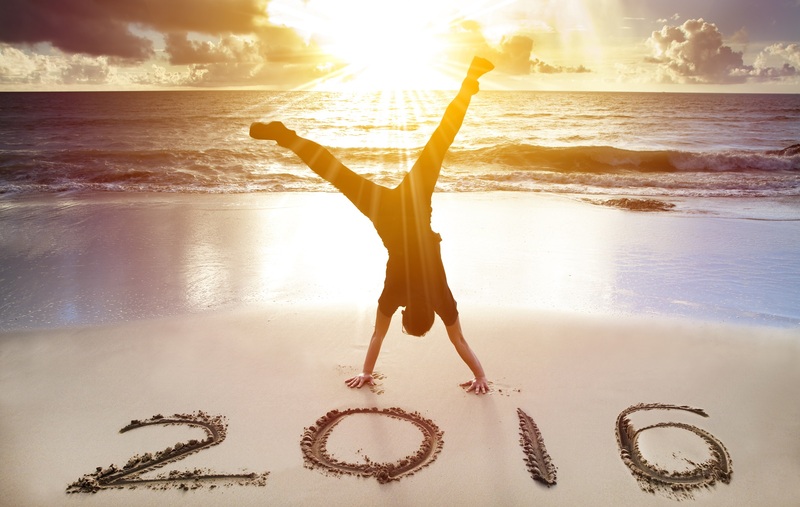 Trade in all your 2016 resolutions, for God’s ONE resolution for you… to have a RESTolution 2016! Because of Christ’s resolution-work on the cross, there is nothing more to achieve, just everything to believe! As you do, watch God work, change, and transform you, your world, and the world around you as you simply enjoy Jesus and rest in Him.